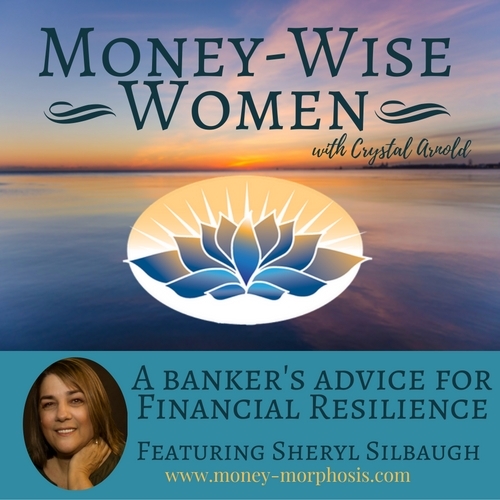 Our guest on Money-Wise Women this week was Sheryl Silbaugh, who has spent decades in the mortgage industry, where she is currently a high-level executive at a major bank. She shares her insider perspective on the 2008 financial meltdown, illuminating both the individual financial behaviors and systemic patterns that lead to it. Both Sheryl and I see predictors of another mortgage meltdown. Baby boomers are aging into retirement with overweight mortgages that they cannot possibly fulfill. The American stock market can’t possibly stay inflated at its record high. The un-payable student loans and credit-card debt are swelling like aneurysms. Americans are anxious, medicated, stressed, and sleepless in record numbers. Given these grim circumstances and impending financial changes, how do we cultivate resilience? Many people collapse with despair when they honestly assess their individual economic situations. Perhaps you have been sucked into such a downward spiral of doubting your self-worth. Perhaps you are overwhelmed by your debt, your creativity crushed by hopelessness. Stormy circumstances can lead to emotional suffering. The surfer can ride the waves in the storm, or she can fearfully cling to her board and get pummeled by the waves. The chaos and confusion of crisis can bring out the best or the worst in people. This is why Sheryl offers practical ways—from a banker’s perspective—to create financial resilience. You have great power in your ordinary daily choices. Find a rhythm of actions that create true wealth through wise management of resources. Your resources are not only financial and physical, but also include your time, attention, and relationships. Being proactive about the transformation you desire allows you more choices. Listening to this timely conversation will boost your ability to respond intelligently to financial changes. Don’t get bogged down in fear and despair. Take proactive steps to create the transformation you long for. Sheryl Silbaugh has a unique way of assessing patterns. Years of pouring over financial statements and interpreting behavior and risk gives her a very informed perspective about financial patterns and human behavior. She is not only a writer, speaker, and transformational coach, but also a senior vice president of Bank of America. She is founder of LemonadeMakers.org and passionate about inspiring women to transform grief into gold. In April 2010, Sheryl suffered the loss of her nephew, who was randomly killed by a gang member. The idea of LemonadeMakers came from her grief. She experienced firsthand the creative power of transformation. She started a small Facebook presence that has grown from 500 followers in July 2015 to over 31,300 in August 2016. She demonstrates how to take life’s lemons and make lemonade. 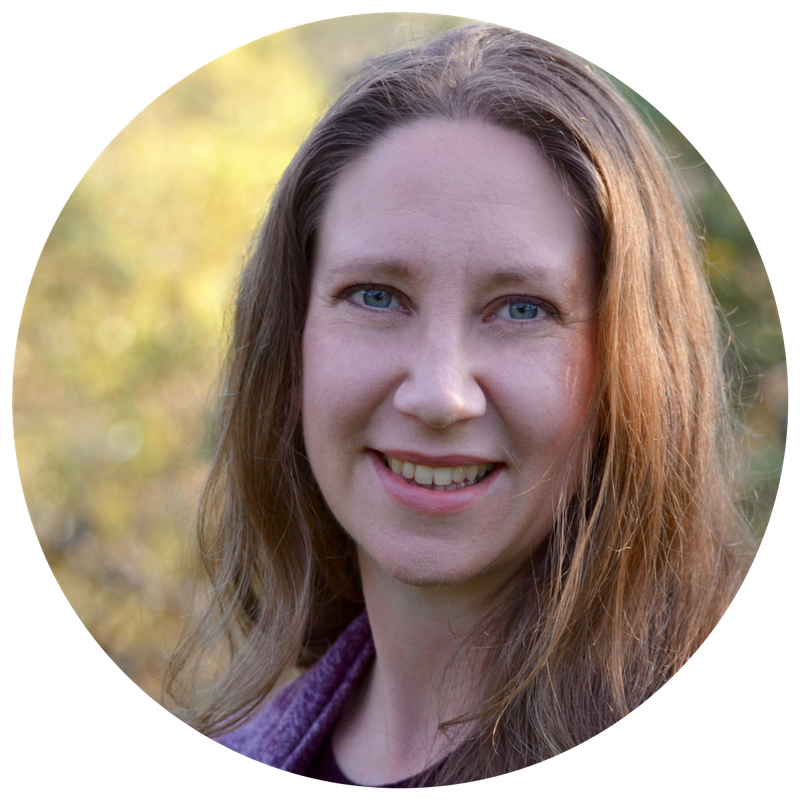 She is a skilled guide for those experiencing transition or loss. When we let go of what no longer serves us, and open ourselves to our soul’s calling, we naturally create immense value. We uncover the treasures and let the rest blow away on the winds of healing. Sheryl certainly has a unique perspective on money, as she has created and implemented guidelines, policies, and procedures, for banks, savings and loans, and mortgage companies for over 35 years. She is currently a senior vice president at Bank of America. She has extensive knowledge of mortgage finance, having held positions in every area of the industry. She has taught mortgage finance to loan officers, loan processors, loan underwriters, and real-estate agents because of her extensive knowledge of accounting and finance. This means she has looked at the financial stories of countless borrowers and has a fascinating view on the behaviors and values of modern Americans. As a writer, speaker, and coach, she aims to support women to create blossom in every area of their lives. She provides insights on how to collaborate together to manifest their dreams. 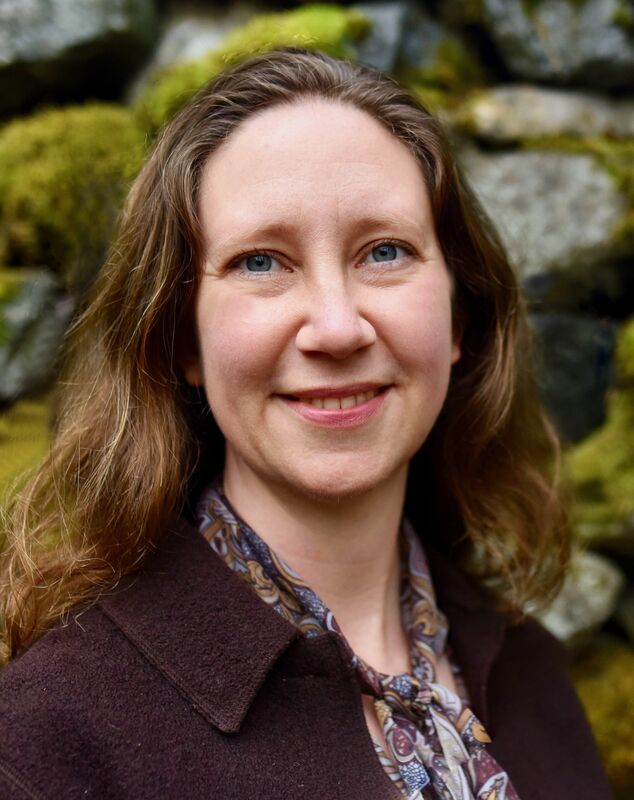 A mother of four grown children and grandchildren, she is also a life-long learner and curious explorer, having studied as a reiki practitioner, herbologist, and aromatherapist. She is passionate about exploring our inner world to see what needs to be transformed.